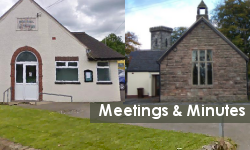 Click to find out when Ipstones Parish Council meet, along with the next meeting date. Find out who's involved and the topics being discussed. You can also download the next meetings Agenda and the Minutes from past meetings. Click to see what's going on in and around Ipstones, Foxt, Berkhamsytch, Bottomhouse, Winkhill, Froghall and Consall Forge. 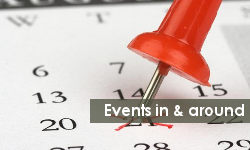 Regular seasonal, annual and upcoming events.See whos meeting locally, activities & community groups. 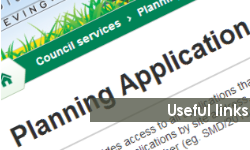 Click here to view lots of useful links.From 'Core Strategy' to 'Planning Permissions' Agency partnerships, local police, District and County council news and developments. Public Information and more. Also useful phone numbers. The Parish of Ipstones is situated in the Staffordshire Moorlands and includes the main village of Ipstones and the hamlets of Foxt, Berkhamsytch, Bottomhouse, Winkhill, Froghall and Consall Forge. It is a rural area set in the scenic Staffordshire Moorlands and bordering onto the beautiful Churnet Valley. There are panoramic views for miles around from the high point of Ipstones Edge. Ipstones has many facilities including a Memorial Hall, C of E Church, Methodist Church, First School, Nursery School, a Village Shop which incorporates a Post Office, Farm Supplies Stores and three Public Houses, a Fire Station and a Gym which opened in 2015. The village is renowned locally for the busy social life with numerous clubs, associations and activities. Annual events include the Agricultural Show, the Christmas Market and Five Mile Road Race. Foxt is a hamlet of around 200 residents and is set in beautiful countryside with many walks to be had. The residents of Foxt also have the opportunity of an active social calendar revolving round the lovely Village Hall and Public House. There is a Church in the Village. Annual events include a Flower Festival and a Christmas Tree Sale. These small hamlets are linked by the Churnet Valley Railway and the Cauldon Canal which run through the beautiful Churnet Valley. Both hamlets have a public house. These three small hamlets which are set along the A523, are mainly farming communities but there is also an Indian Restaurant, and a Cafe/shop. Blackbrook Zoological Park is also close by and is within the parish.